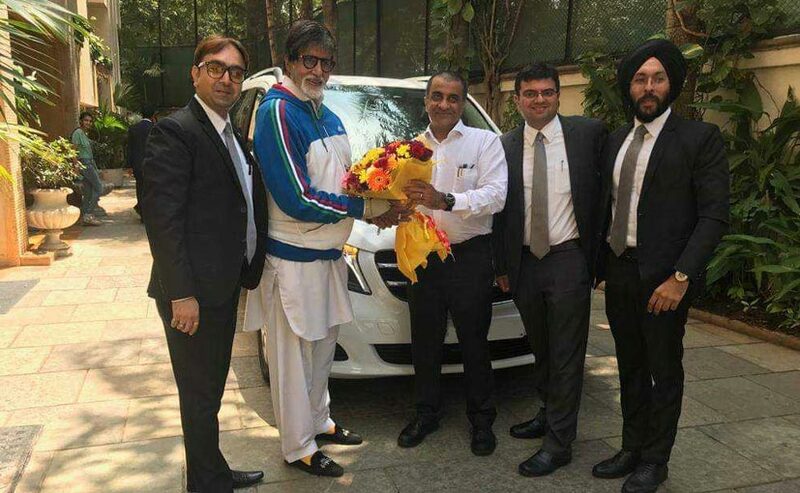 Badla actor Amitabh Bachchan has opted for the versatile Mercedes-Benz V-Class in a refreshing move as opposed to the usual luxury sedans and SUVs that most tinsel stars opt for. Superstar Amitabh Bachchan may not be the on the top when it comes to car enthusiasts in Bollywood, but the legendary actor has an interesting taste in automobiles and does enjoy driving around from time to time. 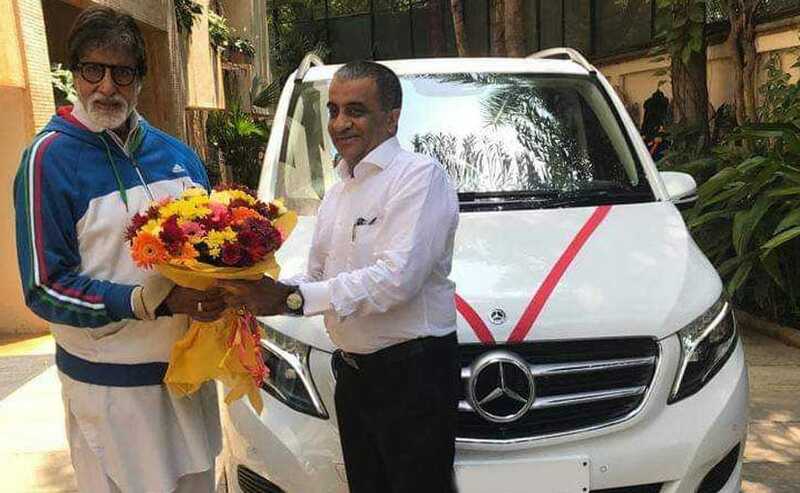 Adding a new possession to his garage, Bachchan Sr. recently took delivery of his new Mercedes-Benz V-Class luxury MPV at his residence in Mumbai. Mercedes-Benz dealer Auto Hangar was seen delivering the new offering to the actor in the pristine white shade. While it's unclear as to which variant Mr. Bachchan has opted for, it is likely that this is the range-topping V-Class Exclusive Line trim priced at ₹ 81.90 lakh (ex-showroom, India). While Mercedes-Benz cars are quite popular in the tinsel town, it is quite interesting and refreshing even to see an actor pick up an MPV instead of the usual sedans or the now popular SUVs. 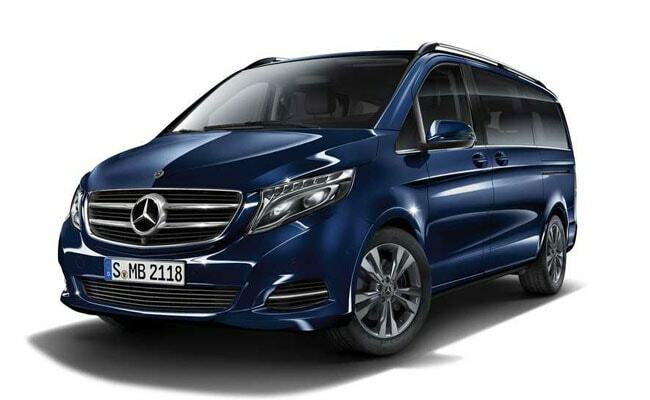 The Mercedes-Benz V-Class boasts of a versatile set-up that can accommodate more people than the average sedan while offering maximum comfort. In India, the V-Class Exclusive Line is offered in the standard long-wheelbase version that measures 3200 mm, with a length of 5140 mm. What really makes the V-Class special though is the versatile seating configurations. Available in seven-seater and six versions, the Exclusive trim gets a set of 2+2 for the second and third rows. The second-row seats can be rotated to 180 degrees that make ingress and egress easier, while there is a retractable table-top that allows you to have meals, hold meetings and much more. The set-up allows you to create a mobile office within the MPV, a feature that Mr. Bachchan will certainly appreciate. In terms of features, the Mercedes-Benz V-Class is loaded to the gills with all that the company offers on its standard offerings. The MPV comes with a full LED headlights, large infotainment display with COMAND system, twin-pod instrument cluster, large air-con vents at the front and rear for a chilled cabin. The V-Class also comes with attention assist, crosswind assist, headlight assist, TPMS, active parking assist, 360 degree cameras and more. Power on the India-spec Mercedes-Benz V-Class comes from the BS6 compliant 2.2-litre, four-cylinder diesel engine that churns out 161 bhp and 380 Nm of peak torque. The motor is paired with a 7G-Tronic automatic transmission. The V-Class comes to India as a completely built unit (CBU) and imported from Spain. Amitabh Bachchan's car collection is an interesting one with his current daily ride being the Lexus LX 570. The butch SUV was an upgrade for the reliable Toyota Land Cruiser 200 that served the star for many years, while the garage also holds a Mini Cooper S, Range Rover, Bentley Continental GT, Porsche Cayman S, and more. He's also had the enviable previous generation Rolls-Royce Phantom, Bentley Arnage R and even the Mercedes-Benz SL500 Roadster. The new V-Class will certainly make his commutes far more comfortable and we do hope to see him drive it around as well.